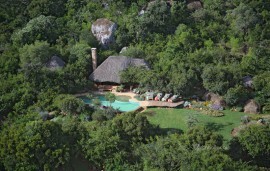 Sirikoi is an exquisite family-run lodge situated on private land and surrounded by the Lewa Wildlife Conservancy. 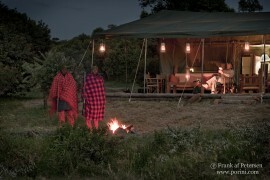 Set in a shady acacia grove and overlooking a natural waterhole towards the slopes of Mount Kenya, Sirikoi offers some of the best game viewing in East AfricaEvening sundowners with amazing views of distant mountain ranges, delicious meals served under the stars next to a roaring fire and the sounds of animals in camp late at night are just a small part of this magical experience. A wide range of activities are offered, including unique helicopter and plane excursions, quad biking, horseback riding, bush walks and picnics, wild swimming in the nearby NgareNdare Forest and visits to a local Maasai community. Accommodation at Sirikoi Game Lodge is in four luxury tents, each built on a platform with a private veranda overlooking the waterhole, a spacious bedroom with a fireplace and an elegant bathroom with a Victorian bath and a shower. 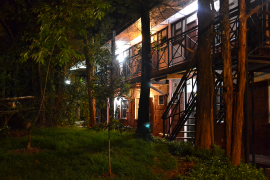 There is also the Sirikoi Cottage which is a spacious two-bedroom cottage, with a private sitting / dining room and large wooden veranda, located near the wetlands where elephant and buffalo regularly visit. Sirikoi House a self-contained three bedroom complex that can sleep up to six people in stunning style and comfort. The house has a private kitchen, dining and living spaces, large veranda and wooden deck built over the wetlands.